One of four men detained in Sudan since December 2015 has been released, but three others continue to face charges which could lead to the death penalty or life imprisonment if found guilty. Kuwa Shamal, a Sudanese church leader, was released after a hearing in Khartoum yesterday (2 Jan.), during which the judge concluded that there was insufficient evidence to charge him. However, the judge ruled there was sufficient evidence to proceed with the trials of fellow Sudan Church of Christ leader Hassan Taour, Darfuri graduate Abdulmonem Abdumawla and Czech aid worker Petr Jašek. The next hearing is scheduled for 9 January, when the defence lawyers will present their case. 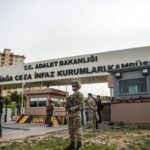 Christian advocacy group Middle East Concern reports that Jašek will be tried for waging war against the state, violating restrictions in military areas, spreading rumours to defame the state, espionage, and inciting strife between communities, while Taour and Abdumawla will only be tried for the last two of these charges. Several hearings have taken place in recent weeks, a marked increase in activity after months of stagnation. After the appearance of a new witness, Ali Omer, on 12 Dec. was hailed as of “significant benefit” to the four men, three further hearings occurred between 19-28 Dec.
Shamal and Taour were both unable to attend the hearing on 19 Dec. due to ill health. During that hearing, the judge dismissed one prosecution witness – a member of the National Intelligence and Security Service (NISS) – after complaints from the defence that the witness’s testimony added nothing extra to that of a previous NISS official. Further witnesses were heard on 26 Dec., then on 28 Dec. the defendants each gave statements and were questioned by the judge. and Hassan Taour, of the Sudan Church of Christ, have been in jail since December 2015. Defence lawyers representing two Sudanese church leaders, a Darfuri graduate student and a Czech aid worker accused of “crimes against the state” have called the testimony of a new witness at Khartoum’s most recent trial hearing a “significant benefit” for their clients. 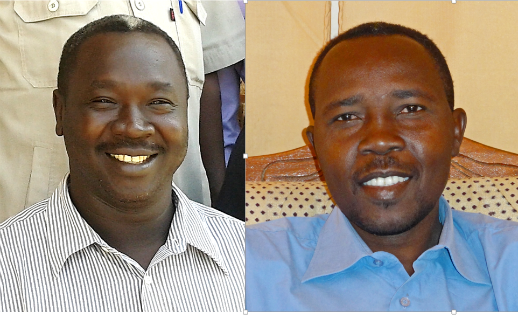 Jailed since last December and on trial since August, the four defendants include Sudan Church of Christ pastors Rev. Hassan Taour and Rev. 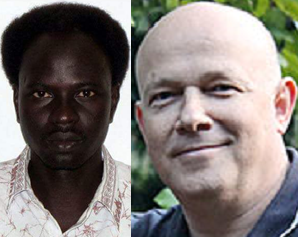 Kuwa Shamal, Darfuri graduate Abdulmonem Abdumawla and Czech aid worker Petr Jašek. During the 12 Dec. hearing, a new witness, named Ali Omer, was interrogated about his links with the jailed defendants. The young Darfuri man testified that he had been injured with severe burns during anti-government demonstrations at an Omdurman university in mid-2015. When he was left with serious injuries requiring regular medical care, his Darfuri friend, Abdumawla, had collected funds for his treatment from various organisations and individuals, including Taour, to cover these medical costs. Jašek was carrying electronic information and photos about Omer’s situation when arrested. The defendants are accused of promoting Omer’s case abroad to defame the government. The four men face seven criminal charges, some of which carry the death penalty or life imprisonment if found guilty. The accusations include waging war against the state, inciting hatred between classes, propagating false news, espionage and complicity in criminal agreements. The court indictment specifically accuses them of “fabricating videos or incidents of claimed genocide, killing of civilians and burnings of villages, besides claims of persecutions of Christians in Sudan“. After Taour and Shamal were arrested by the National Intelligence and Security Services (NISS) on 18 Dec. last year, they were held incommunicado for months, without charges or contact with their families. Abdumawla, a single man employed in a mining exploration company in Khartoum, was arrested just a day earlier, and Jašek had been taken into custody on 10 Dec., when authorities confiscated his computer, mobile phone and flash drives as he left the country. All four were transferred to the Omdurman prison in early August and then formally indicted before the Khartoum North Court on 21 Aug. Court proceedings since have been scheduled almost weekly, but postponed several times without warning when a witness, translator or the judge failed to appear. The trial hearings have been observed periodically by Western diplomatic observers, with local supporters gathering outside the court at times to sing hymns and shout encouragements to the defendants. Although a prosecutor and NISS official demanded at a November hearing that an additional charge of apostasy be filed against Abdumawla, the judge has not responded to this request. Earlier this month, courtroom interrogations focused on allegations that a meeting Taour and Shamal had attended with other Sudanese church leaders in Ethiopia a month before their arrest was organised with political motives to “damage and tarnish” Sudan’s international image. While refusing to answer some questions posed by the defence lawyers, the NISS officer serving as the plaintiff in the case declared that “national security considerations” overrode several of Sudan’s criminal procedure laws that had been violated throughout the past year. In early October, the European Parliament adopted an Urgency Resolution, calling for the “immediate and unconditional” release of the four men on trial “on charges of highlighting alleged Christian suffering in war-ravaged areas of Sudan”. The US State Department has designated Sudan as a “country of particular concern” since 1999 for ongoing religious freedom violations, including the treatment of Christians. It is ranked 8th in the Open Doors World Watch List of the 50 countries where Christians come under the most pressure for their faith. During the next hearing, set for 19 Dec., the prosecution is expected to call as witnesses several Sudanese church leaders who have been temporarily detained by the NISS during their months of investigations. Some have had their passports confiscated.